Amal Moussa is a derivatives trader at Citigroup where she is responsible for trading and risk managing equity exotic options and structured products, and dispersion on stocks. Prior to that, Amal was a derivatives trader at UBS also covering equity exotic options and structured notes, and before that she was a derivatives trader at Deutsche Bank and JP Morgan. Amal started her career as a quant in the emerging markets fixed income quantitative research team at JP Morgan where she developed pricing models for foreign exchange and interest rates derivatives. 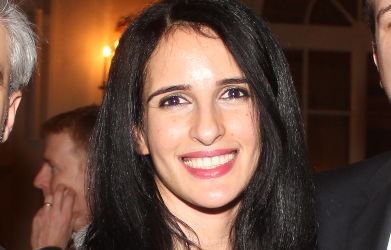 In addition to her work in Markets, Amal teaches a yearly graduate course at Columbia University covering stochastic volatility models, and has served as a lecturer in Mathematics at the American University of Beirut. Amal has a Ph.D. in Statistics, obtained with distinction, from Columbia University. Her thesis “Contagion and Systemic Risk in Financial Networks” shed light on the importance of the network structure in identifying systemic financial institutions and formulating regulatory policies, and has been cited as a reference by Federal Reserve president Janet Yellen. She was also awarded the Minghui Yu Teaching Award at Columbia University. Prior to her Ph.D., Amal graduated with a Masters in Mathematical Finance from Paris VI University and a Grande Ecole engineering degree from Ecole Nationale Supérieure des Télécommunications. Her studies in France were supported by the government-awarded Scholarship for Excellence. She was born and raised in Lebanon. Amal is a member of the Board of Directors of Teach for Lebanon, member of 100 Women in Hedge Funds, and has been an active member of ABANA since 2007.